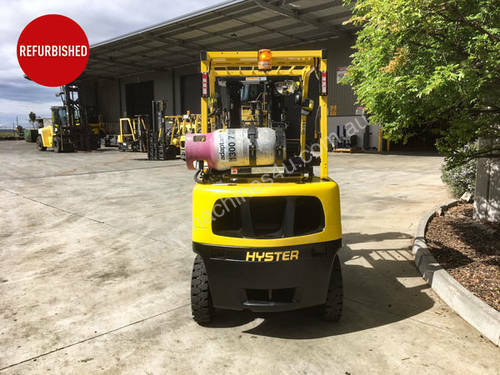 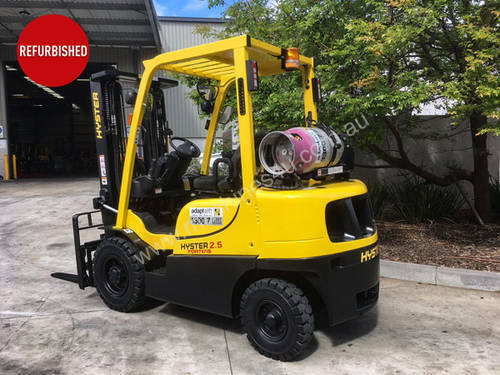 Refurbished 2.5T LPG Counterbalance Forklift Specification Download PDF brochure. 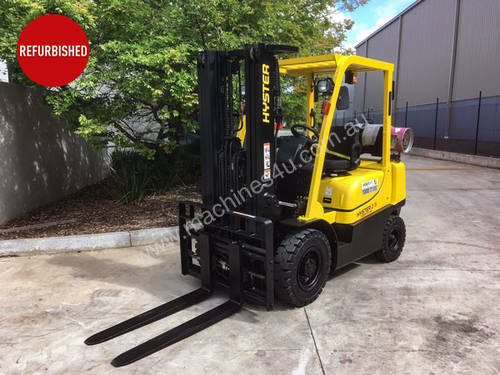 Unit has a maximum lift height of 4,550mm from its 3 stage mast. 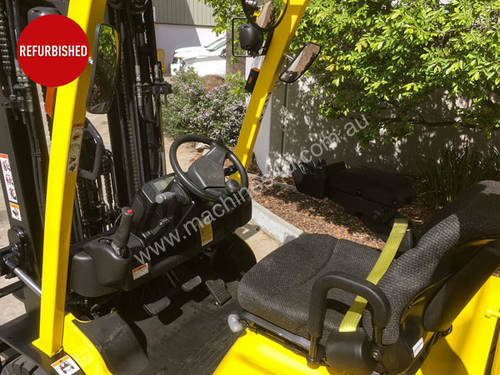 Unit is equipped with a side-shift fork positioner and puncture proof tyres. 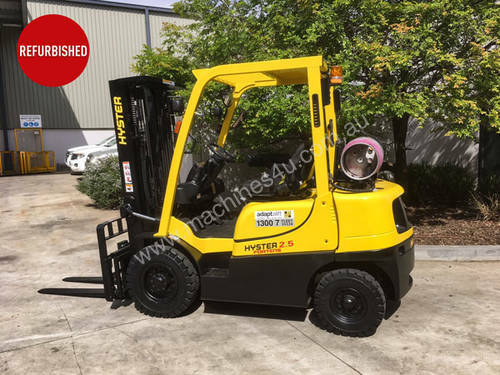 Unit was manufactured in 2011 and is in good condition, with 2,574 hours.